This sounds absolutely delicious, like a recipe from a terrible restaurant or something that Bear Grylls has devised. The ancient Romans used urine as mouthwash, toothpaste and laundry detergent. Now I’m not normally one to pass judgement on someone, but gee wiz. Could you have imagined paying them a visit? Sure, they were regarded as a clean society, especially when compared to their contemporaries and those who lived in the dark ages and Renaissance, but to get around smelling like a used diaper would have to get you thinking. And that was just their clothing. Would you be keen to kiss someone who just had a mouthful of piss, and maybe not even their own? Don’t be thinking that the Romans using urine as a mouthwash, toothpaste and a laundry detergent made them savages. I think gladiator sports did a good enough job of that. 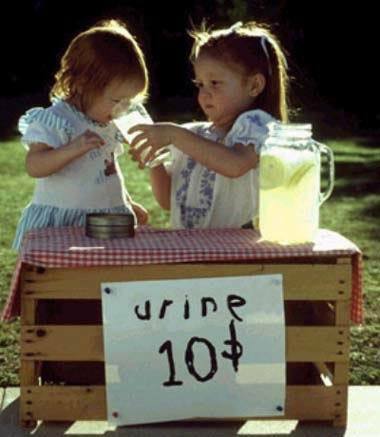 They actually had a very good reason for using urine in this way, and they were pretty clever for figuring it out. I bet you’re wondering just how putting urine in your mouth can possibly be a good thing. Urine contains ammonia, and as we know, ammonia is used as a cleaning product. But what you may not know is that it can also be used as a tooth whitener. Not only can urine make your teeth shiny white, but the ammonia also helps prevent cavities. Yep, pearly white, piss soaked teeth sounds just like what the dentist ordered. Obviously the cleaning properties of this wonder byproduct of the human urinary tract system was of benefit in cleaning clothes. Hey, it was cheap, readily available, and everyone had it. But enterprising individuals, such as laundrymen, would place a jar out the front of their businesses so anyone could just pee into it and help them turn a profit. This is the best part of all of this. We all know what governments are like. If they see someone making money, they always want a piece of the action. Emperors Nero and Vespasian both introduced urine taxes because they saw how much money these laundrymen were making. But don’t tell anyone in government today. I don’t particularly want to pay a tax every time I need to make a pit stop by a bathroom. All this Roman urine mouthwash, toothpaste and laundry detergent has me wondering what the ancient empire must have smelled like.